Every day billions of people watch television, listen to the radio, talk on cell phones and go on the internet. In fact these sources are not just entertainment but are vital resources to our survival. From weather events such as hurricanes, tornados, flash floods and blizzard warnings to alerts for missing children, broadcast mediums are critical in daily life. The infrastructure that delivers the sounds and images we see daily are made up of a vast network of towers, transmitters, cables, switches, routers and other equipment. VTScada is the perfect broadcasting SCADA system solution for monitoring and controlling both small and large scale broadcast applications. 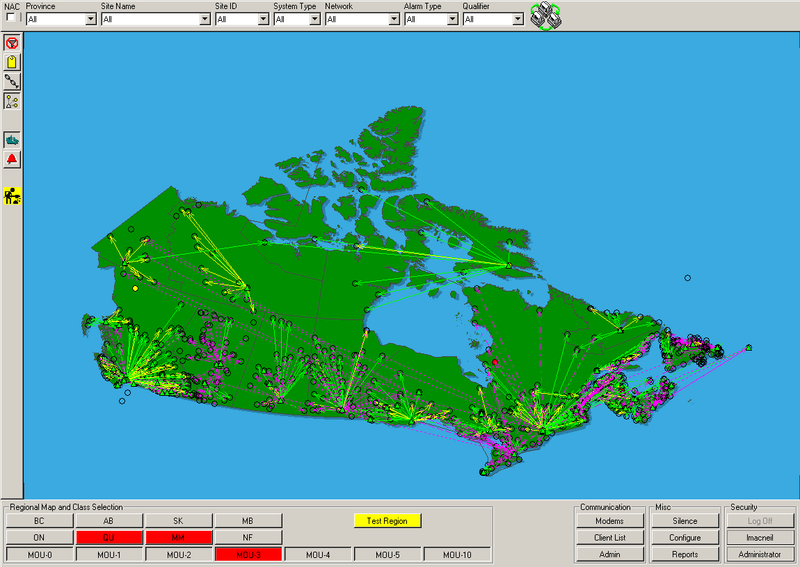 The large geographical coverage of broadcast systems makes scalability essential. 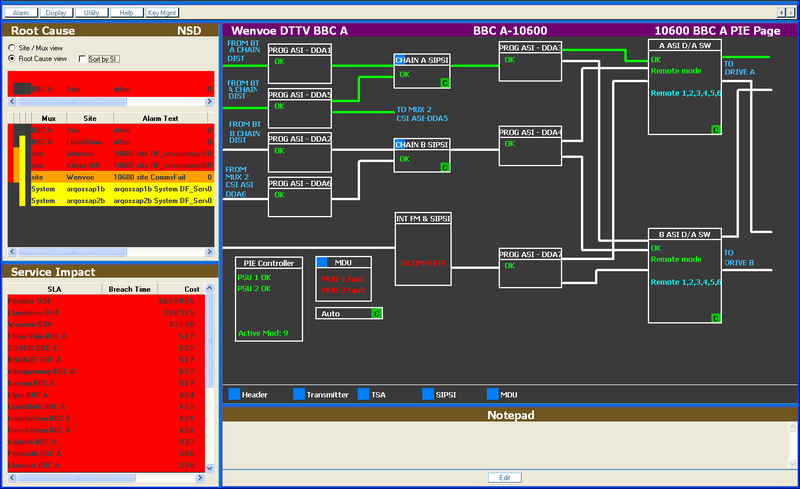 VTScada provides tools for online, remote configuration, simplifying centralized alarm management. Typical applications include; nation-wide asset monitoring, alarms management and centralized configuration with regional support. 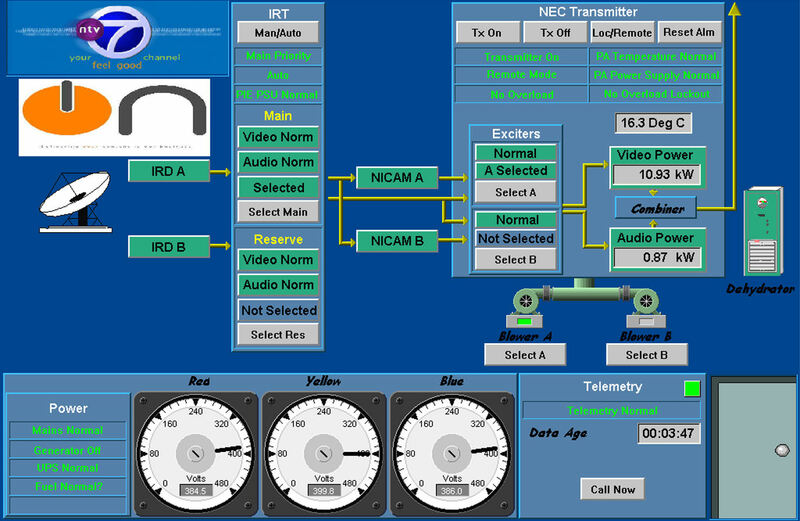 In 2003, North America’s largest broadcast system chose VTScada to provide a SCADA system for monitoring and control of the alarm center. VTScada was chosen for its extensive knowledge in the SCADA arena, its ability to communicate with multiple RTU manufacturers? products and its experience in developing custom designed drivers for standard and non-standard protocols.